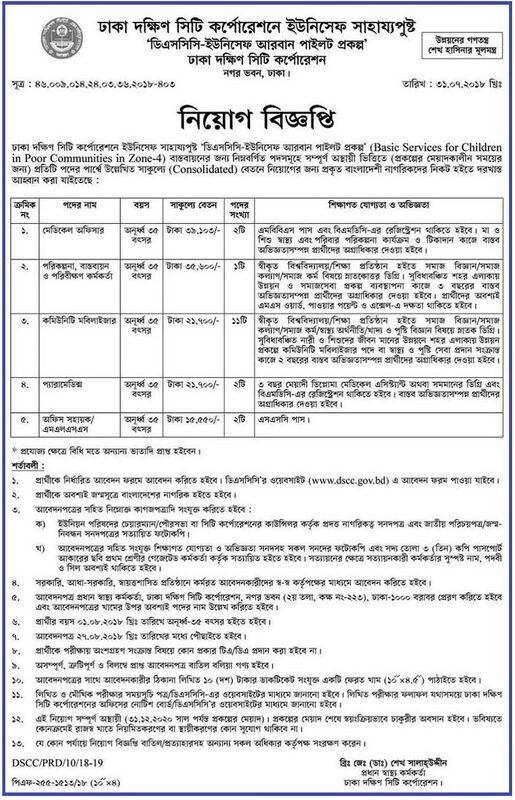 Hy Bd Hot Job Seekers, If you Want to Apply In This dscc teletalk bd, Then See Bellow The Instruction and Roll and Regulation carefully. City Corporation Of Dhaka Advertise Completely Temporary Daily wage basis Engage in labor Notification. www.dncc.gov.bd job circular Summary Here. Organization/Company/Group/Bank/: Dhaka City Corporation (South). Job Type: Government Job circular. Age Require: See The Dhaka Capital City Corporation South Job Circular. Salary: Daily 500 Tk For Expert And For Inexpert 475 Taka. Application Published Date: 03 August.